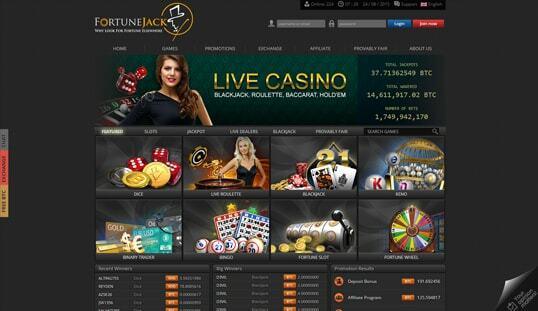 FortuneJack brings Bitcoin gambling to the next level with its sophisticated platform that is geared toward the enjoyment of all Bitcoin bettors. FortuneJack. The name alone already tickles your imagination. What games are hosted here? How big will the Bitcoin casino bonus giveaways be? How much fortune can I exactly collect? 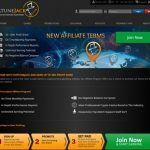 It is a good thing, then, that the services and experience offered by this cryptocurrency gambling platform match or even exceed the expectations spurred by its brand name. This gambling site joined the Bitcoin gambling network in late 2014. But instead of conforming to the usual design and games in iGaming, it revolutionized its platform and presented a unique venue for cryptocurrency gamblers. Other than a distinct gambling site, it also takes pride in being a Silver Member of the Bitcoin Foundation. FortuneJack boasts an impressive set of games that are grouped to lottery games, live games, video games, betting games, and others. This casino covers dice, keno, slots, video poker, wheel, blackjack, and bingo. It also hosts live games that include even the unusual games of Texas Poker, Dragon Tiger, and Carribean Poker. Players who are looking to take a break from the casino games can check out the casino’s Binary Trader platform, which employs the simple concept of binary options trading. Although this site initially featured uncommon games, it finally welcomed the popular slot games developed by the known game providers. FortuneJack now features games from select software and game suppliers like Betsoft, Novomatic, SoftSwiss, Igrosoft, and Endorphina. It also uses solutions provided by other developers, which aid in the overall appeal of the casino. The variety brought upon by the presence of different providers further enhances the site in the graphics department. Signing up for an account is a breeze. A username, valid email address, country, and a password are all that is needed to begin playing in this casino. With the information needed, players are assured of anonymity, which is a core component of cryptocurrency usage. An important note, though, is that it is mandatory to give an email address. However, this is essential to recover lost or forgotten passwords. 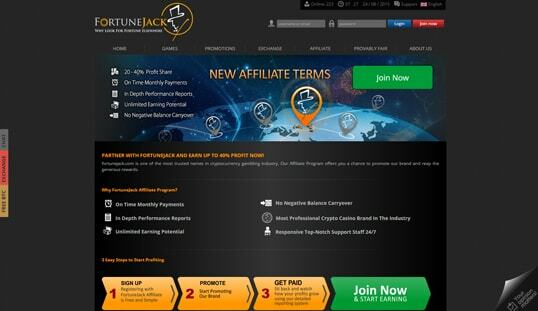 What sets Fortunejack apart is its capability to accept 10 cryptocurrencies, namely Bitcoin, Litecoin, Dogecoin, Namecoin, Peercoin, Novacoin, Dash, CLAM, Reddcoin, and Monero. Given that this casino wholly operates on the digital currencies, quick deposits and withdrawals can be expected. When cashing out, the minimum amount that can be withdrawn is 0.001 BTC. The 130% Welcome Bonus is dedicated to the newly registered members, who definitely need extra bankroll to spend on the array of games. Up to 0.5 BTC may be added to the current bankroll, but this depends on the amount initially deposited. There are other deposit bonuses on board like the 1,777 mBTC bonus from a 777 mBTC deposit, as well as the 100% monthly bonus up to 1 BTC. Other than this, there are Weekly Promotions that reward players with special bonuses like LuckyJack promo. A Loyalty Program has also been integrated into the platform and lets the players earn Bitcoin in every bet they make. FortuneJack provides round-the-clock assistance and welcomes concerns via the contact form, email, or chat. Unfortunately, phone support is not available on the site.